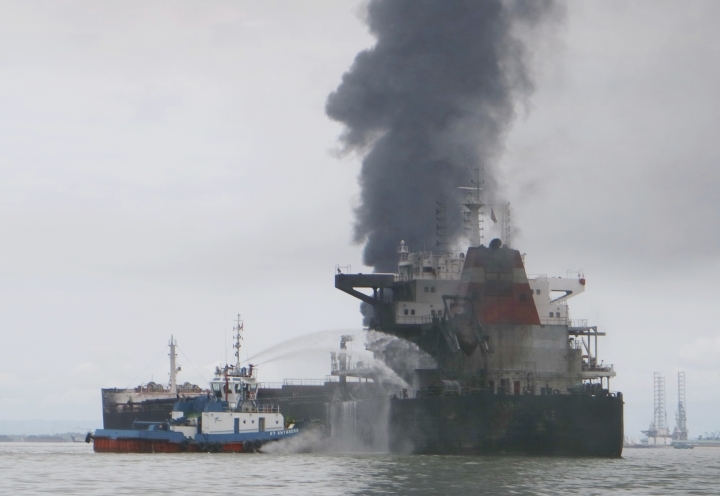 JAKARTA, Indonesia — Police say an oil spill that caused a fire that killed five people and sickened hundreds in an Indonesian port city was due to a broken pipe the state-owned energy company was using to transfer crude oil. 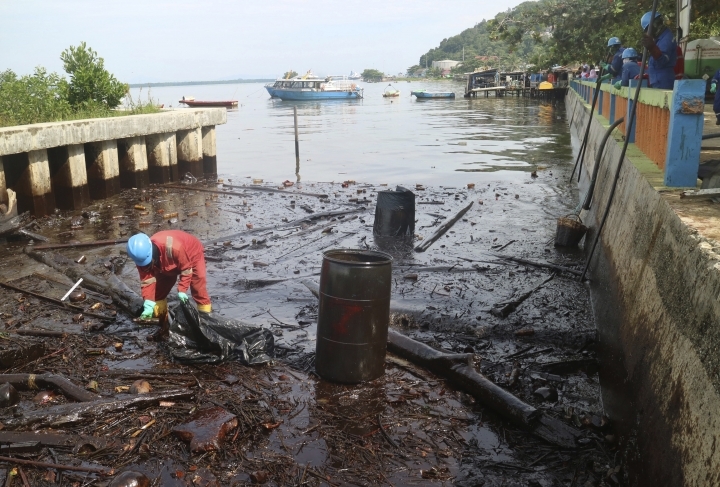 East Kalimantan police spokesman Ade Yaya Suryana said Thursday that while a preliminary identification showed the pollutant was marine fuel oil the latest sample confirmed it was crude oil from an underwater pipe owned by state oil and gas company Pertamina. The leaking oil caused a fire on a fishing boat and a ship carrying coal Saturday. The body of a missing person was found late Wednesday, raising the death toll to five. The city of Balikpapan has distributed masks, and more than 1,300 people have suffered breathing problems, nausea and vomiting.